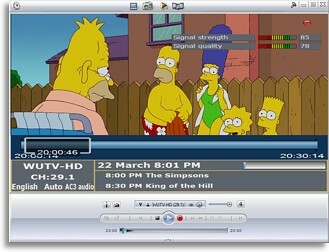 The HD Pro ships with Pinnacle’s own TV viewing software, TVCenter Pro, which runs on Windows XP and Vista 32-bit or 64-bit (the latter still technically in beta). If you don’t want to use the bundled application, the HD Pro is also Media Center compatible so it’ll work with Windows Media Center Edition 2005, Vista Home Premium, or Vista Ultimate. 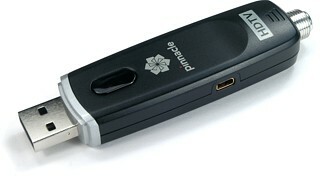 Since Media Center is generally a static user experience regardless of the hardware used, for this review we’ll be using TVCenter Pro to get an idea of the complete Pinnacle package. The company recommends a minimum of a Pentium 4 at 2.4GHz or a Pentium M at 1.3GHz for use with TVCenter Pro, with 256mb of RAM for XP and 512mb for Vista. For the full timeshifting experience the recommendation moves up to a Pentium M 1.7GHz processor, and double the RAM. I’ll be using the HD Pro with a modest Sony SZ-series laptop sporting an Intel Core Duo 1.83GHz T2400 processor, Nvidia GeForce Go 7400 graphics card, 3 gigabytes of RAM, a 320GB 7200RPM hard drive, running Windows XP Professional. As installation CDs are almost always outdated by the time they get to you, I opted to instead download the latest version of the HD Pro’s drivers and TVCenter Pro software from Pinnacle’s website. After an unexpectedly large 250mb download for version 5.4.0.3032, installation completed smoothly, rebooted the system, and then automatically ran the initial configuration wizard. TVCenter Pro’s user interface has been given a modern, shiny light grey appearance. 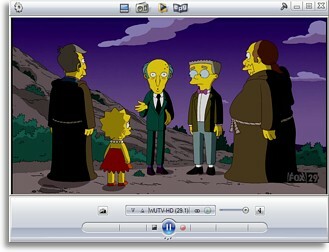 As with all video applications the video window takes up most of the screen’s real estate, leaving controls to the title bar on top and a larger panel below. Pinnacle actually makes use of the title bar, adding a number of useful icons for “Settings”, “TV”, “Radio”, “Recordings Gallery”, “EPG”, plus a button to quickly toggle “Always on Top” status (to keep the program in front of other applications). Below the video window is a sizeable control panel with a lot of small buttons and a surprising amount of blank space. This is where you’ll change channels, adjust the volume, start manual recordings, select closed captioning and audio channels, pause live TV and so forth. A little pop-down expansion panel enables “trick play” controls such as fast forward and rewind, skip, plus some others that always seemed to be grayed out no matter what I did. The title bar and control panel can be configured to automatically hide when inactive, and appear whenever the mouse cursor moves over the program – or enabled or disabled permanently. Even the thin grey frame around the video window can be completely removed, although doing so prevents the window from being resized. A few program features can only be found on a less accessible right-click menu, including zoom, aspect ratio and preset window sizes.